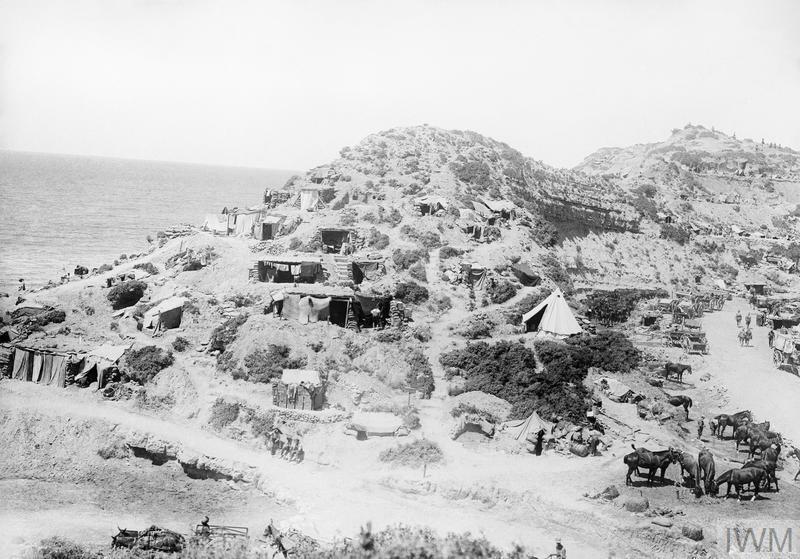 Above, Gully Beach and the headland today, and below, in 1915. Gully Beach, also known as Y2 beach, lies some 2 kilometres north of X Beach and about the same distance south of Y Beach. The distinctive headland, photo above, is useful as an identifier for first-time visitors. 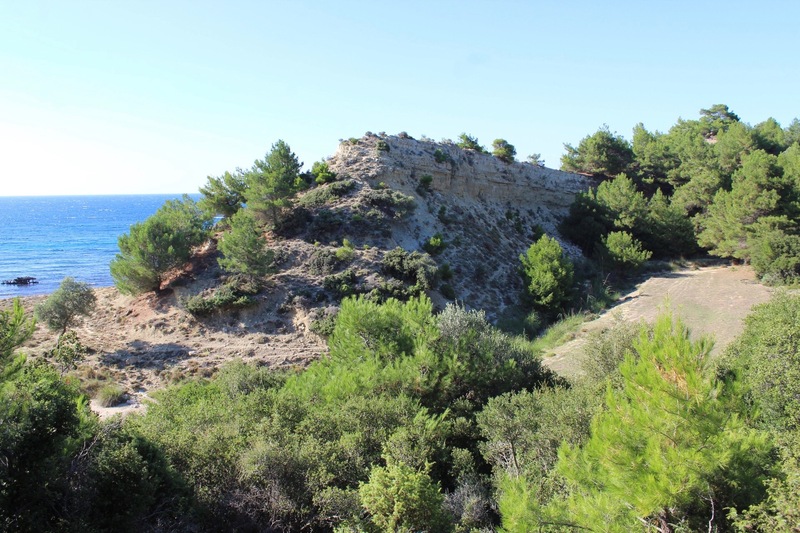 In 1915, the beach became a major transit point for the slowly advancing front line further up the gully. From the position of the photo, Gully Ravine itself runs to the north eastward, to the right of the headland, and the sea lies to the left. The headland is relatively unchanged from 1915, except that then it was covered in dugouts and workings, and was fairly free of undergrowth. Two men were executed in the beach area. Private Thomas Davis of the 1/Royal Munster Fusiliers, was found guilty of deserting his post and was shot by firing squad on 2nd July 1915. Sergeant John Robins of the 5/Wiltshire Regiment was charged with three counts of post desertion and disobeying orders and was shot on 2nd January 1916. 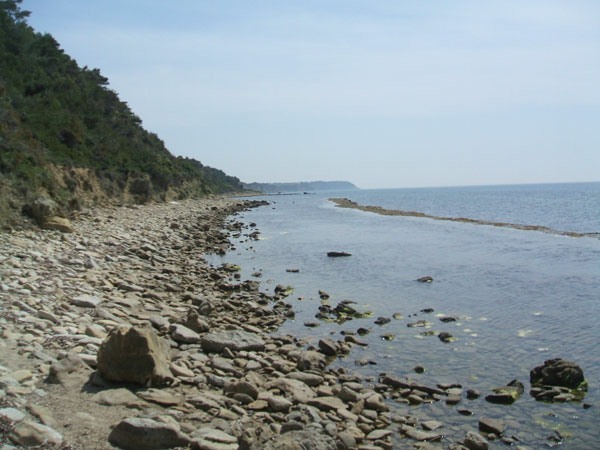 The position of this event is recorded as being ‘about 400 yards north of Gully Beach. 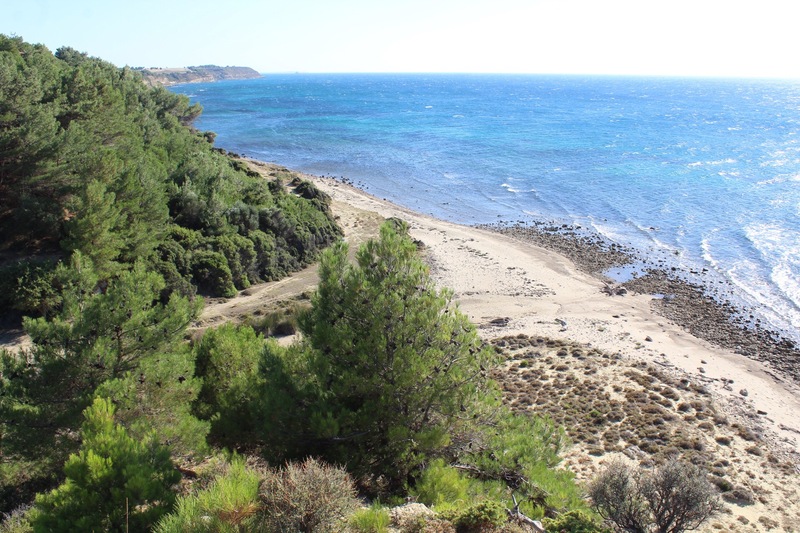 The photo below was taken at roughly this location, where partial remains of the beach road back leading south westwards towards Gully Beach can also be seen as a ‘reef’ in the water.